The bidding has been going on all week but it's the final day that matters. Hammond Street Senior Center's "It's a Basket Case" Silent Auction fundraiser ends this Friday, December 7th at 1pm! Browse the 273 gift baskets online or stop by between 8:15am-1pm tomorrow to place your bid. You could win a basket from Dragonfly Farm & Winery, The Rock & Art Shop, McLaughlins at the Marina, Days Jewelers, and many, many more. 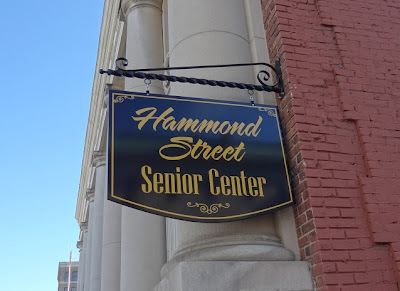 The Senior Center is located behind Mexicali Blues on Hammond Street in Downtown Bangor.